The rich creamy sweetness of chocolate teamed up with tropical coconut.. if I’d have to pick only two sweet flavors, these would be it! 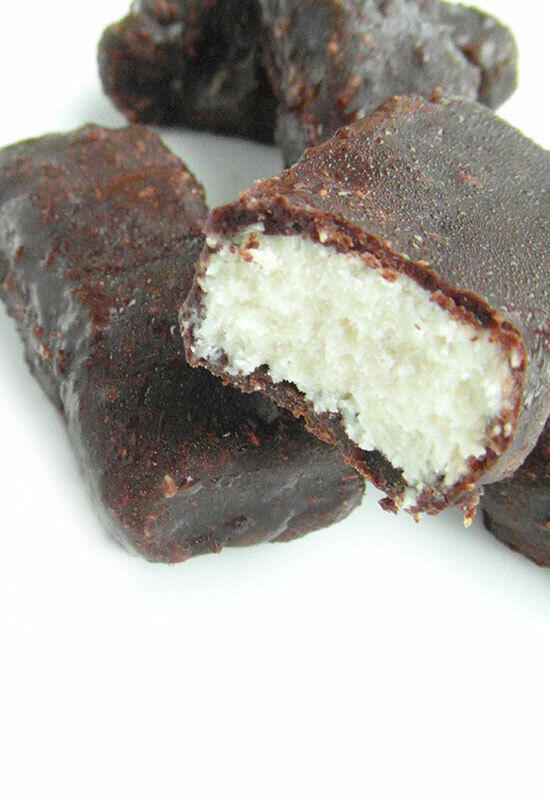 And what is a better combination than deliciously creamy vegan refined sugar-free bounty bars? When I replaced refined sugar with healthier sweeteners, I mostly missed chocolate bars. Back then there wasn’t much choice in healthier chocolate as there is today, so I started to experiment with my own homemade creations. These choco-coco treats are a rich, healthy version of the popular bounty bars. They are 100% plant-based, without the overload of sugar and preservatives, so just pure natural goodness. What’s great about them is that they are super easy to make and you can store them in your freezer. This way you can prepare a big batch and always have something sweet & healthy to indulge in. Coconut filling: mix the coconut cream with the shredded coconut, coconut oil and a bit of sweetener. 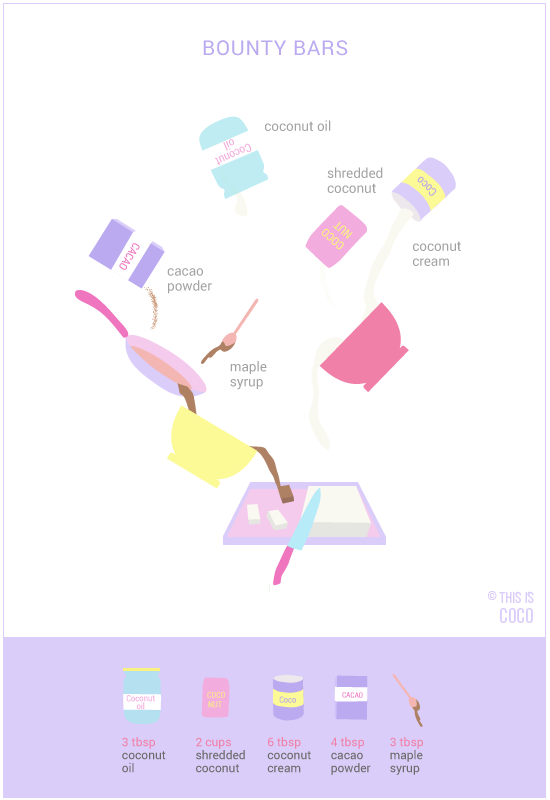 You can use maple syrup, rice syrup, coconut palm sugar, liquid stevia, molasses etc. If you like the filling soft, add more coconut cream. If you like it solid, reduce the coconut cream. Make small bars of the coconut mixture with your hands and press them tightly. You can also fill up a square sized mold with the mixture and once solid, cut them in bars. 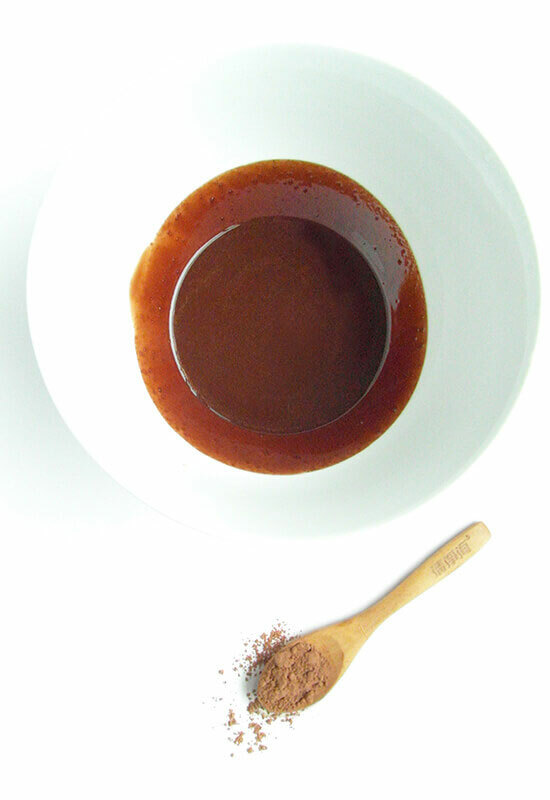 Chocolate sauce: if the coconut oil is solid, melt it in a pan on a low heat or au bain marie. Add the cacao powder and sweetener while whisking until the sauce is smooth. If you have coconut oil that is already liquid, there is no need to heat it. You can pour it straight into a bowl and mix in the cacao powder and sweetener. Take the coconut bars out of the freezer and dip them in the chocolate sauce. Place them on a plate and pour some more chocolate sauce over them until they are fully covered. Put the bounty bars in the freezer or fridge to set. If you like a thick chocolate layer, repeat the chocolate dip process until you’ve reached the desired coating. If you like a thin, crispy layer, one coating is enough.